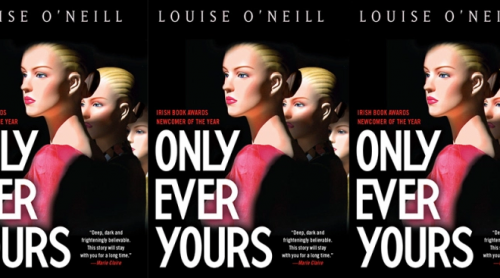 Killer Content has acquired the film and TV rights to Louise O’Neill’s novel “Only Ever Yours” with plans to develop the property as a film and TV series. O’Neill’s debut novel was a YA hit in the U.K., where it was published last year. “Only Ever Yours,” released in the U.S. in May, is a dystopian story of a finishing school for girls where technology is used to enforce extreme standards of beauty and conformity. Killer Content was formed last year through the merger of Christine Vachon and Pamela Koffler’s Killer Films with Glass Elevator Media, a content incubator launched by Adrienne Becker. “Only Ever Yours” is designed to be a bigger-budget film than Killer has fielded in the past. The indie stalwart’s latest pic, Todd Haynes’ “Carol,” has been generating awards buzz. It’s set for release Nov. 20. Killer Content is working with the newly launched nonprofit Two Brass Brads to finance “Only Ever Yours.” Two Brass Brads is described as non-profit organization that creates “socially relevant” content that will be released in tandem with activist campaigns and educational efforts. Among the org’s supporters is Philippe Hoerle-Guggenheim, whose Hoerle-Guggenheim art gallery is hosting a book party for O’Neill in New York on Wednesday.